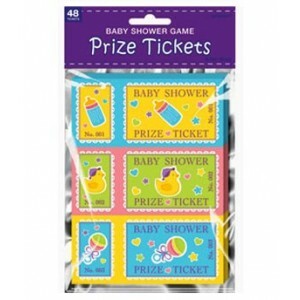 Pack of 48 Raffle Prize Tickets. 16 Sheets (3 Tickets on a Sheet). Pack of 48 Raffle Prize Tickets. 16 Sheets (3 Tickets on a Sheet). Distribute a ticket to each guest. Place stubs in a bowl. Mum to be picks out a winning ticket. 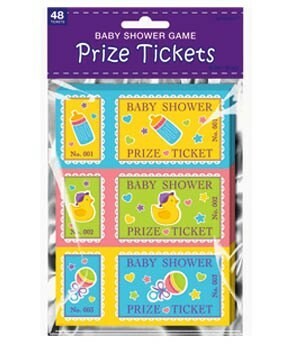 Award the player with the matching ticket stub a prize.